high fidelity audio applications for the primary stereo channels. A-525CC May be oriented vertically or horizontally. For most center channel applications the speaker will lay horizontally either beneath or above the video display. Some screens may be acoustically transparent and allow the speaker to be placed behind the screen. 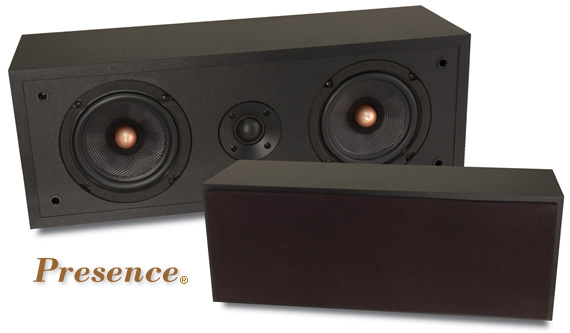 The center speaker can be oriented vertically if desired. Due to space constraints this is not usually done for the center channel but is usually done for the main and surround channels. 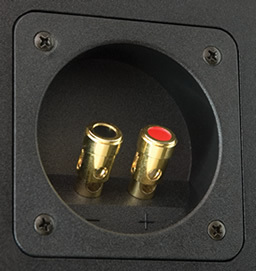 Significant bass emphasis can occur when a speaker is placed in a corner or in a cabinet. In some cases this is desirable. However, if too much bass emphasis occurs then it may be necessary to reduce the low frequency information to the speaker. This is best done using the tone controls if a subwoofer is not present in the system. However if a subwoofer is present then this is best done by selecting a filtered high-pass output to the primary speakers. This is an available feature in most modern home theater receivers. A higher crossover frequency will allow the A-525CC speakers to play louder without overdriving its 5.25" woofers but the upper bass response of the system may diminish depending on the rate of roll-off. These upper bass frequencies can be reproduced by the subwoofer but the bass may sound detached if the subwoofer is not placed in close proximity to the main speakers. Every system and environment is unique; experiment to determine what works best in yours.